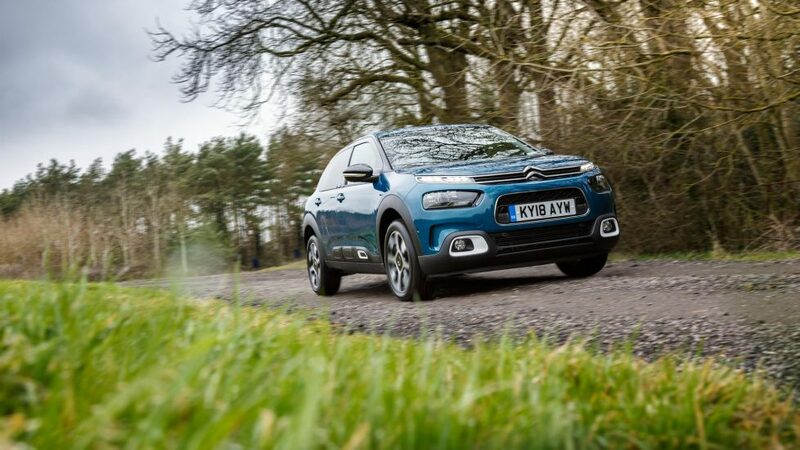 With the keys to the new Citroen C4 Cactus, we took it for a test drive to see if it’s any good. 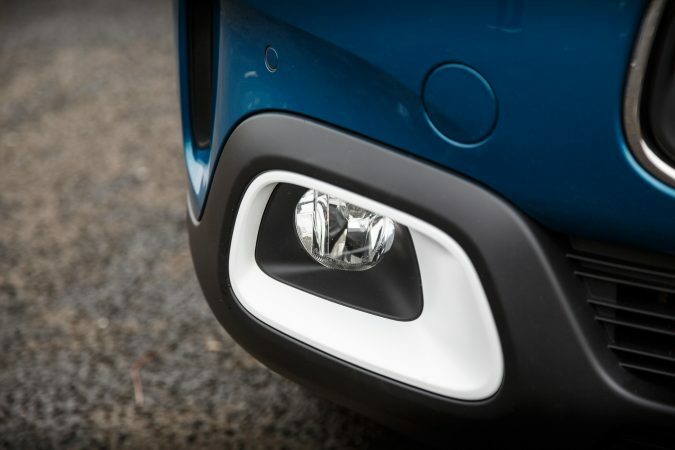 What’s the new Citroen C4 Cactus Flair all about? 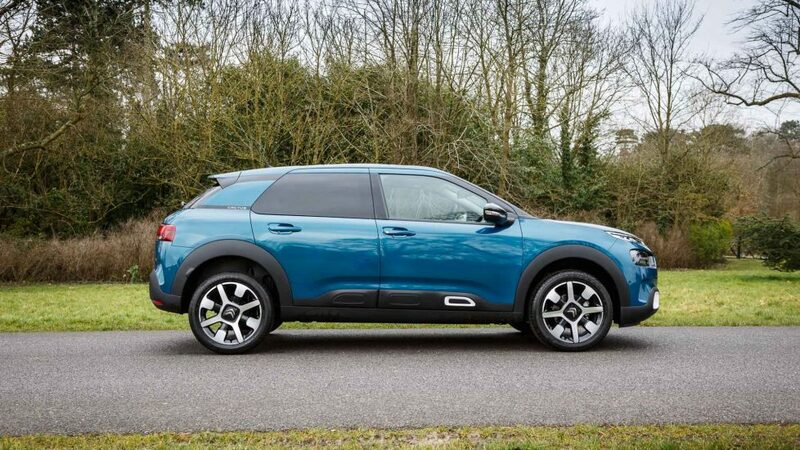 You may wonder why Citroen chose to name their small quirky crossover after the sensible desert plant, the cactus. 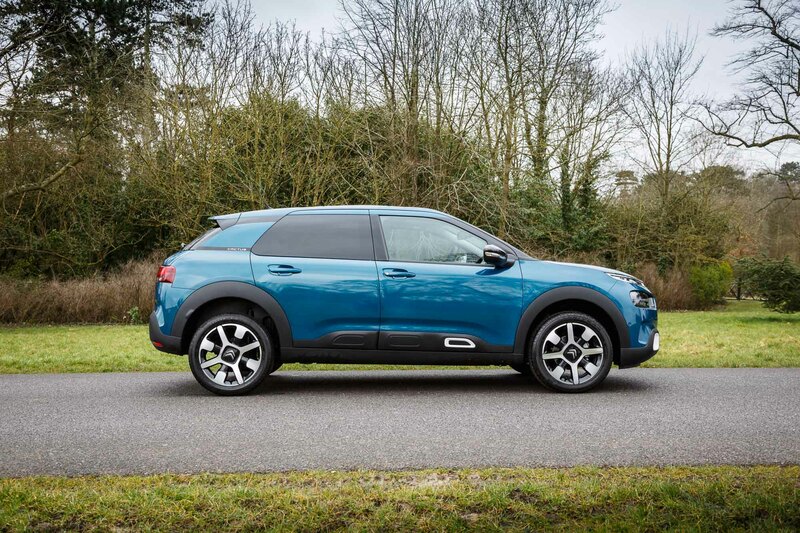 Citroen explain that it’s because the C4 Cactus sips fuel like a cactus sips water, and its ‘Airbumps’ protect the C4 Cactus from minor knocks, much like thorns shielding a cactus from potential hazards. It’s not the typically belligerent name that manufacturers go for, but I think it’s strangely charming and refreshingly playful. 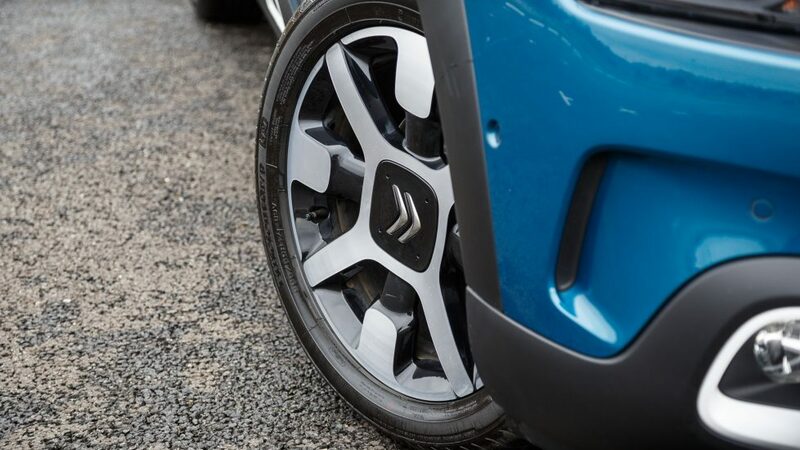 The Airbumps perfectly encapsulate the spirit of Citroen too, as a marque that isn’t afraid of being esoteric and unusual. They’re keen to include strange ideas that today’s manufacturers shy away from. However, standing out isn’t the be all and end all. 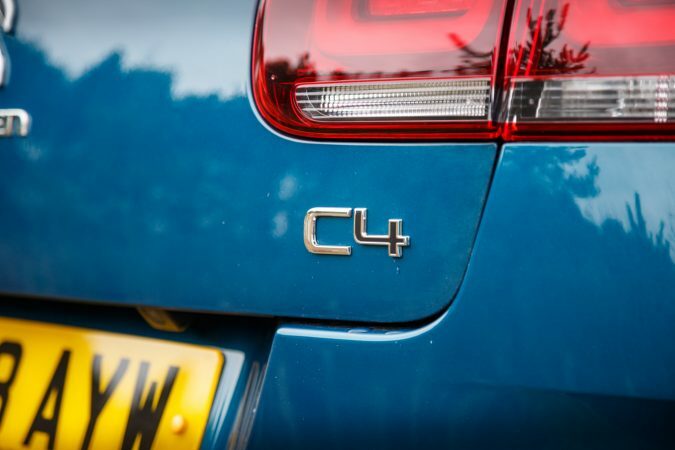 So, how does the new Citroen C4 Cactus appeal to customers? 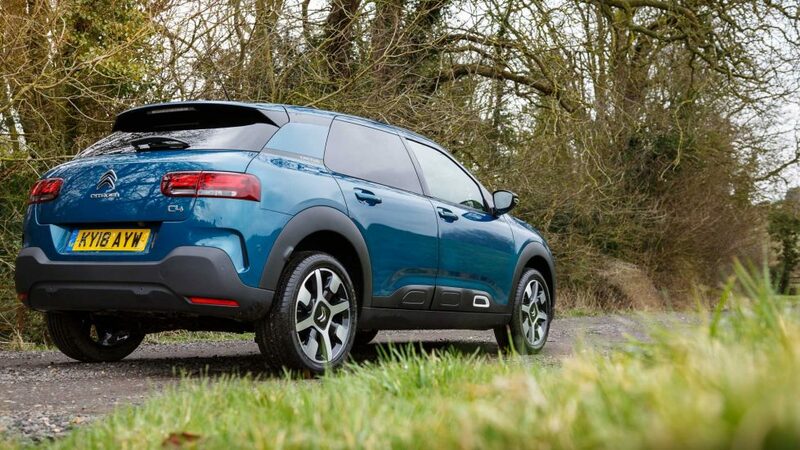 Aesthetics wise, nothing much has changed when compared to the previous C4 Cactus. You still get a rounded shape and the odd split daytime LEDs and an array of head lamps. The lower apron is fuller with protruding fog lamps and additional side air intakes. The iconic double chevrons now wrap around the sleek daytime LEDs, providing a nice contrast while segregating the bonnet from the front bumper. Pleasingly, the side Airbumps have been made smaller, and now integrate into the black plastic inserts that cover the car. 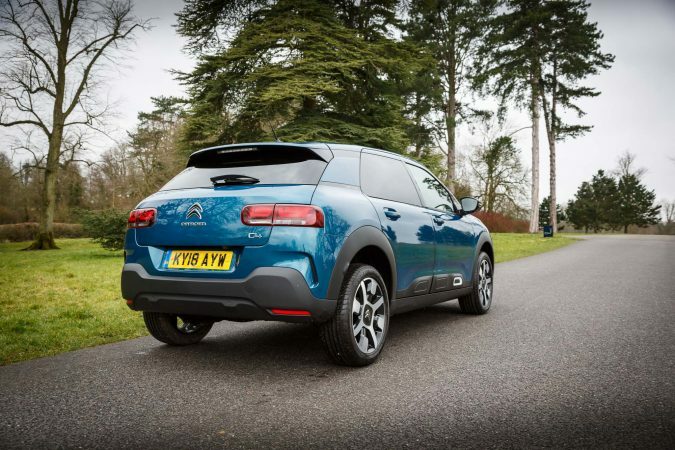 Overall, the new Citroen Cactus C4 is more aggressive and dynamic. 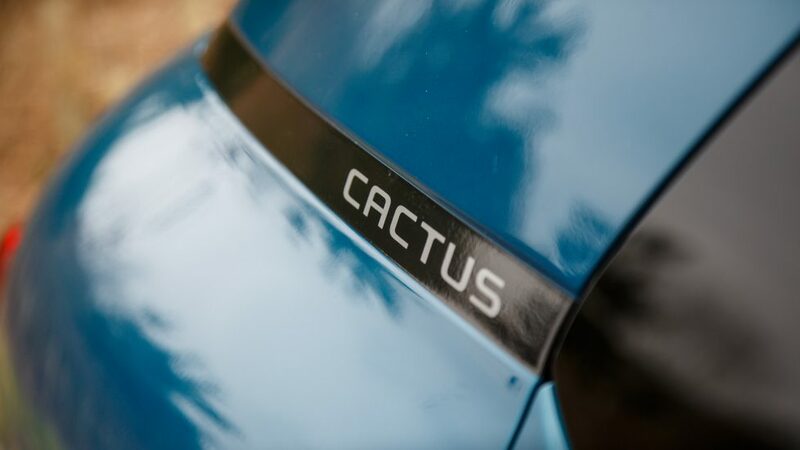 Our C4 Cactus was finished in Emerald Blue. This muted colour choice looks quite sophisticated on the new model. Sitting on 17″ Diamond cut ‘Cross’ alloy wheels, the new Citroen C4 Cactus has an active feel. 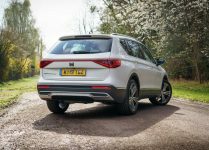 Powering this particular model isn’t anything new, it’s the 1.6-litre BlueHDI 100 turbocharged diesel inline-4 that is common to the French brand. It generates 100 bhp and emits 254 Nm of torque. 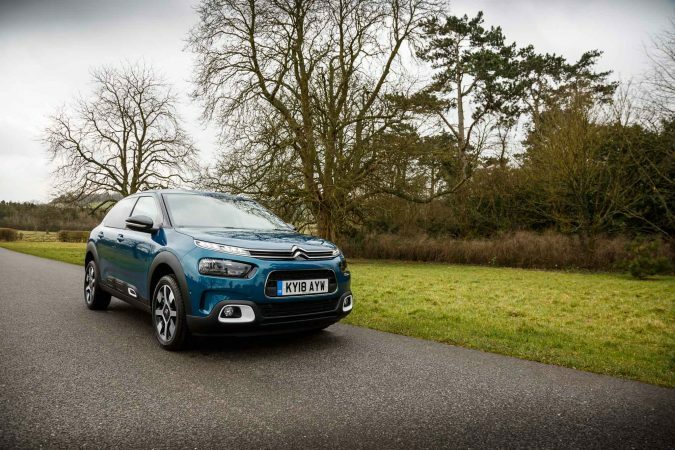 The engine is matched to a 5-speed manual transmission that propels the new Citroen C4 Cactus from 0-62 mph in 10.7 seconds, with a top speed of 114 mph. While these figures may not seem particularly exhilarating, the engine makes up for it in efficiency. 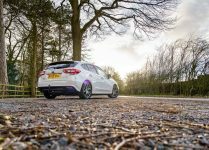 It emits 96 g/km of CO2, while being able to muster 76.3 mpg on paper. 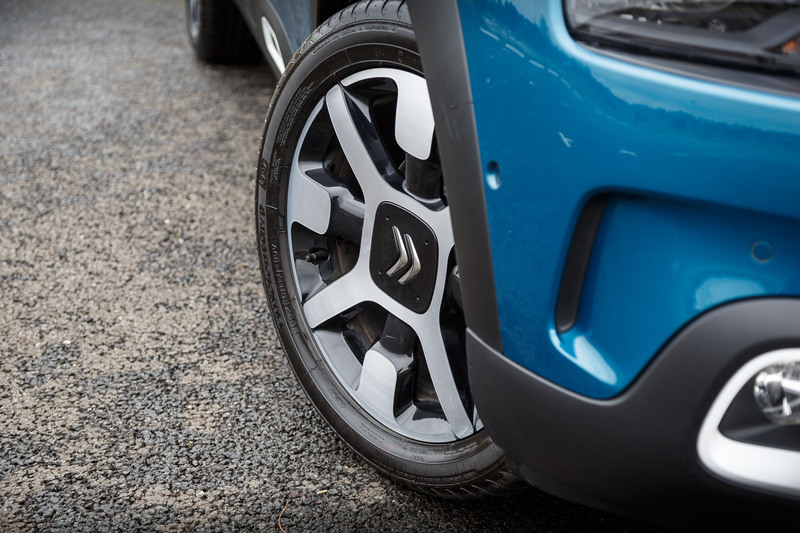 The carbon emissions are impressive and are what Citroen banked on when designing the BlueHDi line. 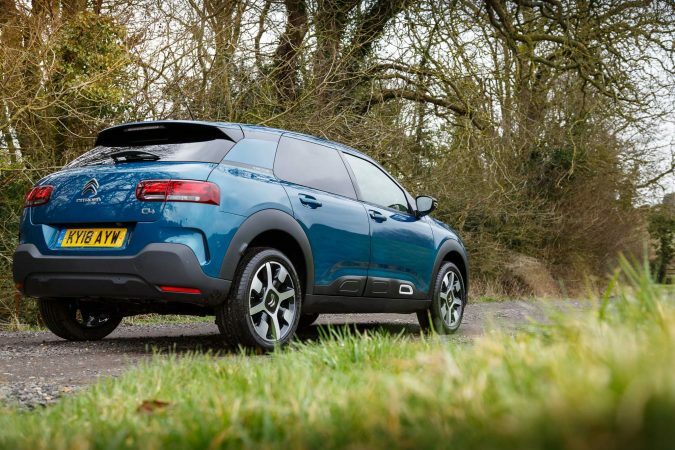 We’re quite familiar with the BlueHDi 100 engine, in fact, the last C4 Cactus we tested was powered by the very same engine. This is not necessarily a bad thing. It’s still a modern engine, introduced in 2014. 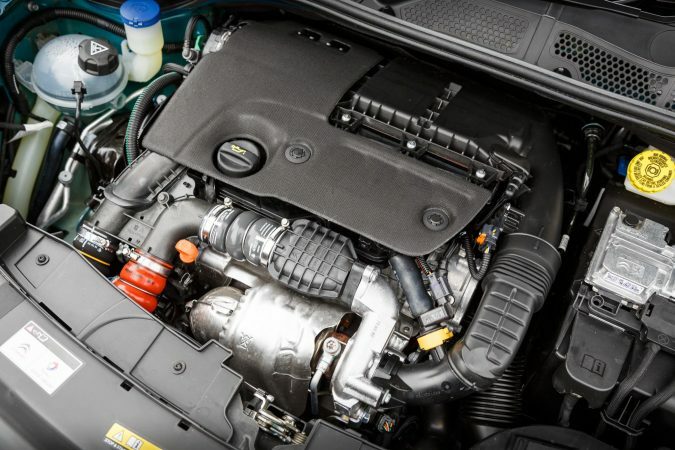 It may not provide the pace that the higher horsepower PureTech variants can offer, but the displacement advantage paired with turbodiesel makes the BlueHDi engine punchier. 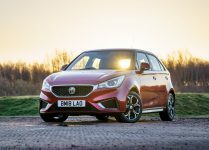 It easily keeps up with other cars on the motorway, and it’s a joy to drive around the city with so much torque on tap. It’s also really efficient, returning good mileage over our journeys. Although it’s a diesel engine, it’s reasonably quiet. If you want the diesel engine though, you do have to make do with the 5-speed manual. The gears are distantly spaced to keep everything refined and quiet. Fortunately, the engine has enough torque to make up for the longer ratios. The shifting action is long and soft though. 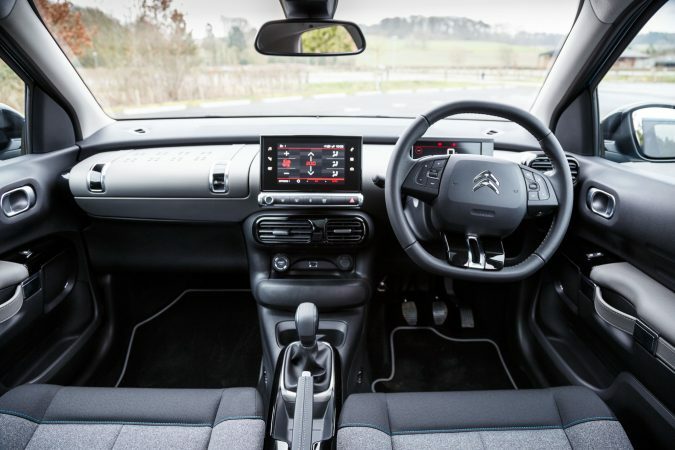 Two new features of the latest Citroen C4 Cactus are Progressive Hydraulic Cushion and Advanced Comfort seats. 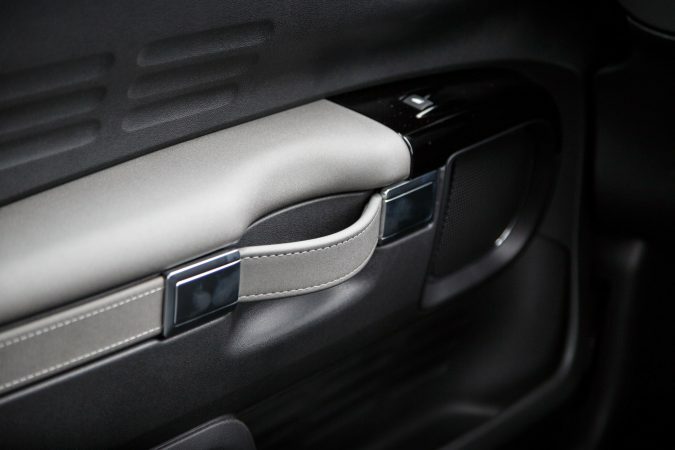 Sheer comfort is Citroen’s hallmark, and this is a great example. With these new additions, the ride quality is astounding. This is the kind of comfort you’d expect. 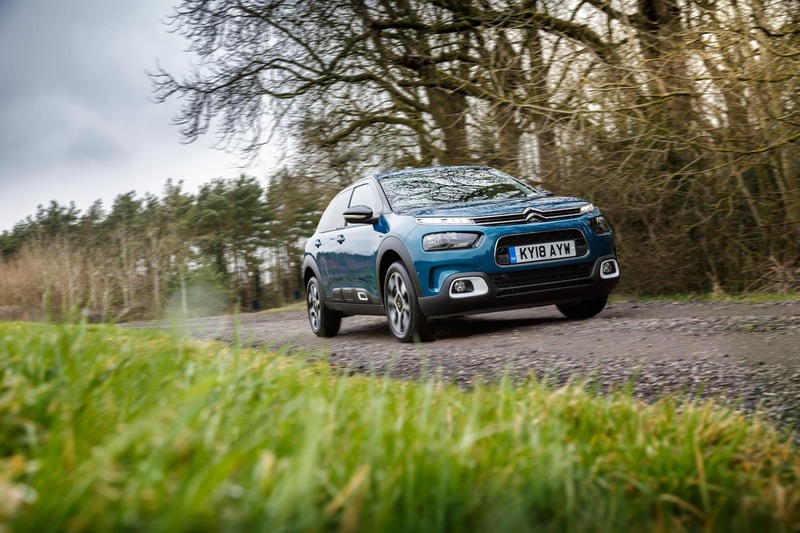 Citroen already optimises the C4 Cactus’ suspension towards the soft end, which is a great help when dealing with bumpy British roads. 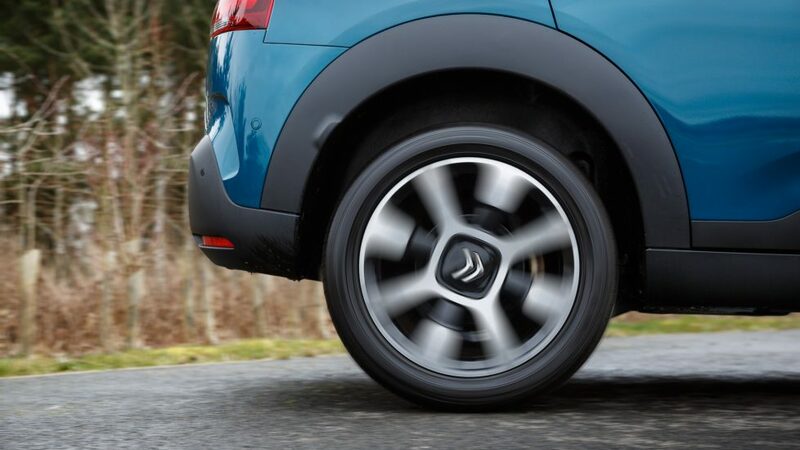 Citroen’s clever integration of hydraulic stops in the shock absorbers deals with sudden jolts with plenty of composure. 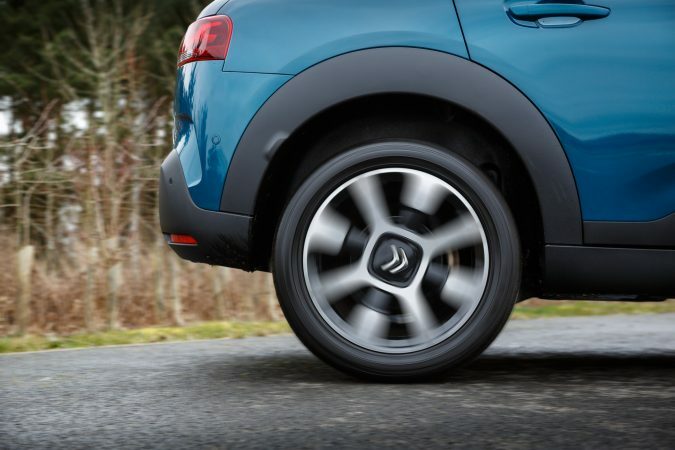 The suspension reacts quickly enough and settles down without too much undulation. 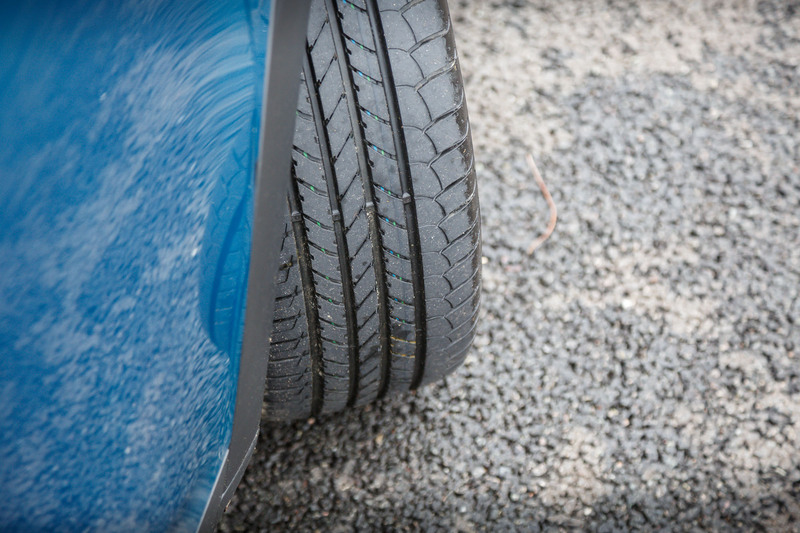 However, the trade-off here for the comfort, is of course in the form of cornering performance. You definitely notice a bit of body roll when taking the corner. 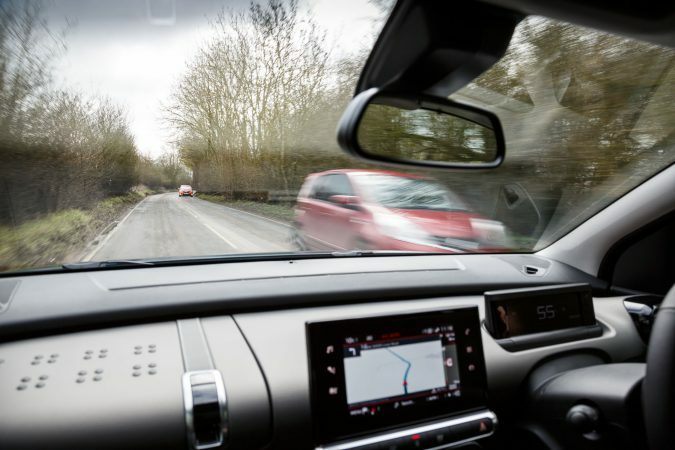 There is enough traction for the diesel engine to cope, but passengers may be jolted during spirited drives. 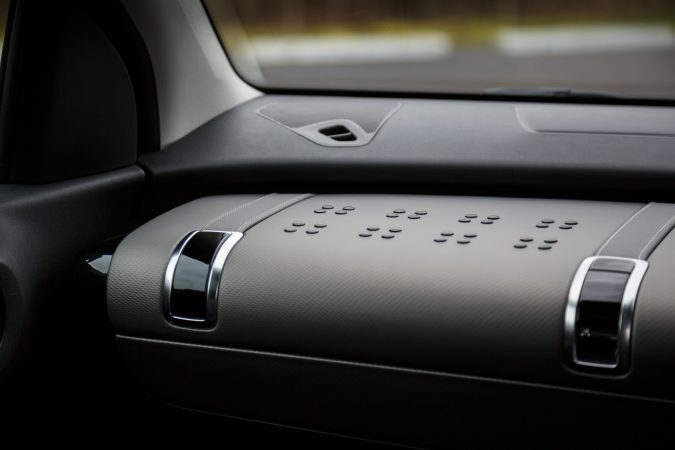 The steering isn’t communicative, but it’s precise and responsive to inputs. 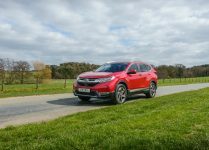 It’s just quick enough for urban driving, but not so fast that it hesitates, which will counter the effort Citroen put in. It also weighs up nicely once you get up to speed. The interior of the new Citroen C4 Cactus is similarly peculiar. 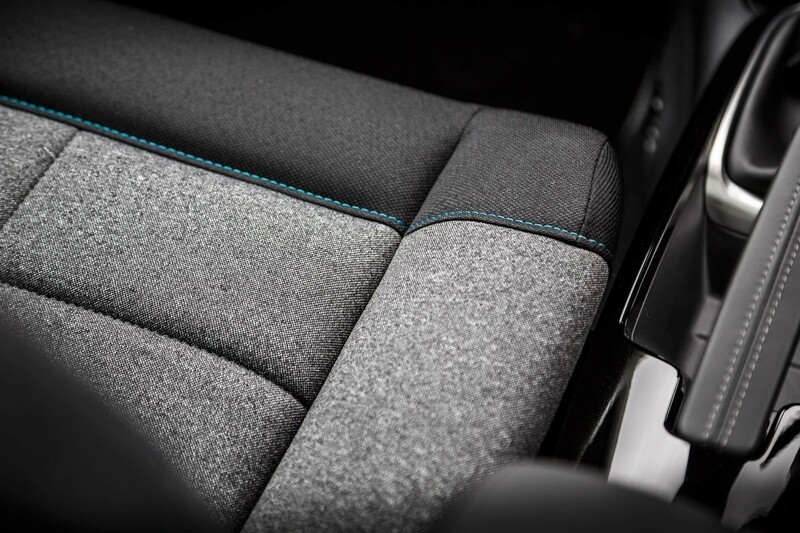 All models include ‘Advanced Comfort’ seats as standard, and ours is upholstered in ‘Wild Grey Ambience’. I have to say, it’s very different sitting inside a modern vehicle with comfortable, plush seats. It’s just like being at home! The cabin is very airy and spacious. There is plenty of head and legroom in the front and more in the rear. Each seat includes a headrest and storage spaces are littered around the cabin. 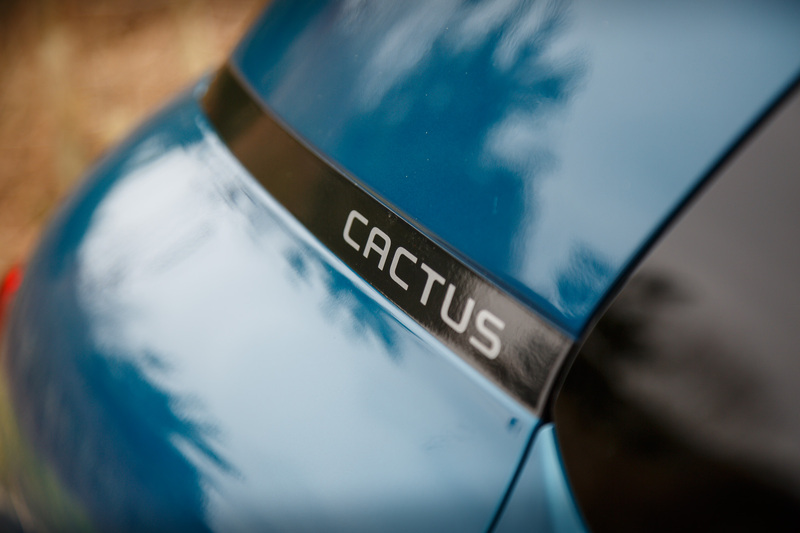 The dashboard is definitely a unique feature of the Cactus. It’s nearly flat, bar the 7″ touchscreen infotainment system and the small but helpful digital instrument cluster. 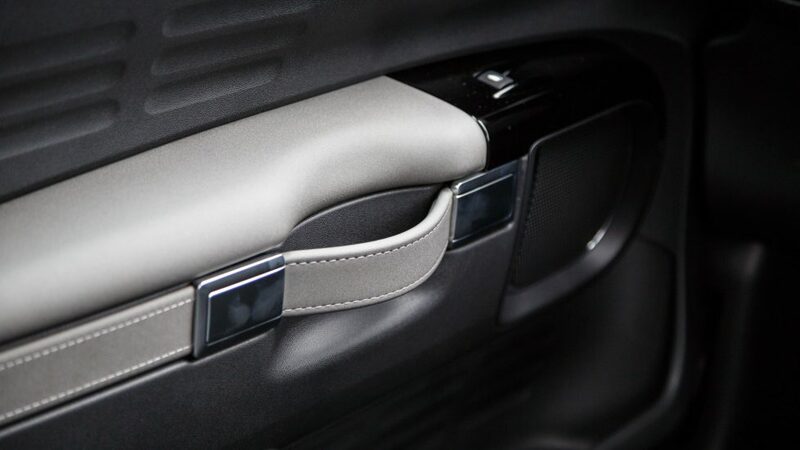 In the ‘Flair’ trim, like our test model, you get rear parking sensors and reversing camera as standard too. 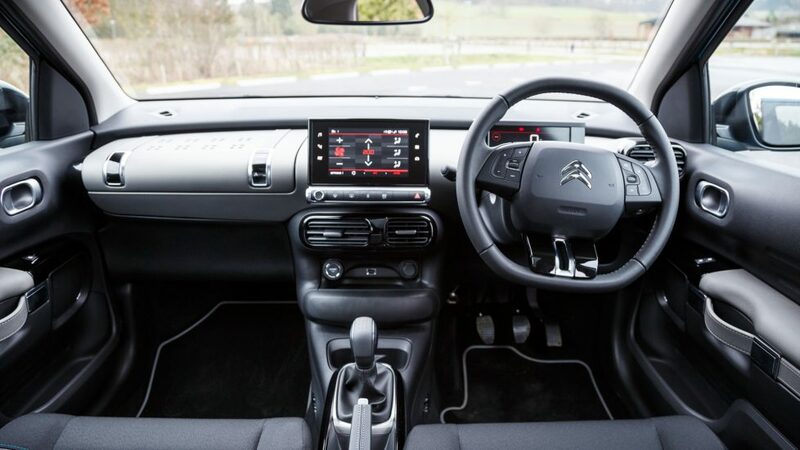 There are hard plastics to be found here, but Citroen has padded the dashboard and door pulls with soft-touch materials. 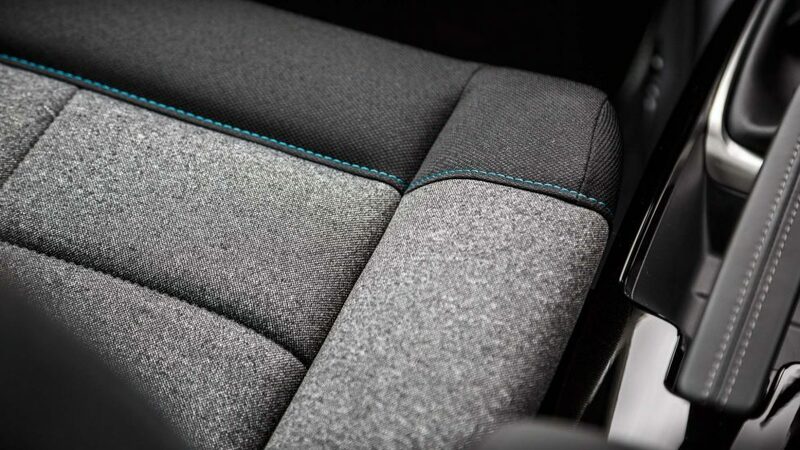 You can also find faux leather around the cabin, which is a nice touch. 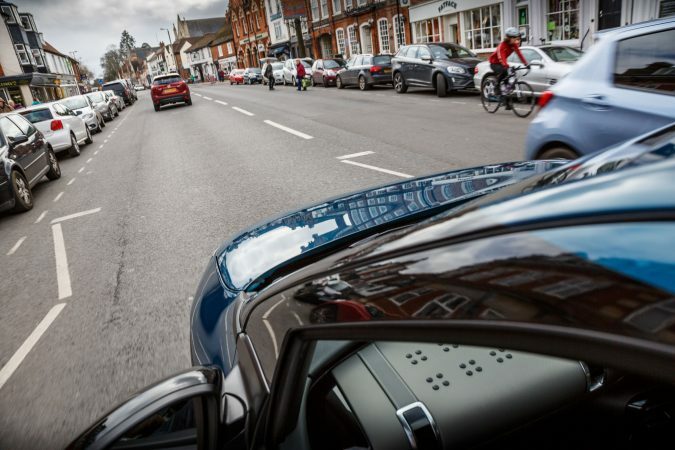 Being a 5-door car, it has a respectably-sized boot with a volume of 358 litres below the parcel shelf. 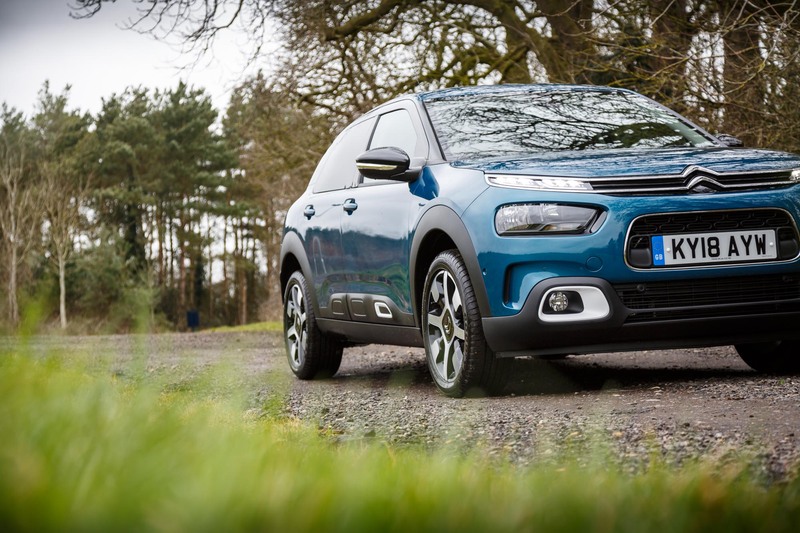 The new Citroen C4 Cactus was an enjoyable drive. There was no rush, you just kick back and relax. 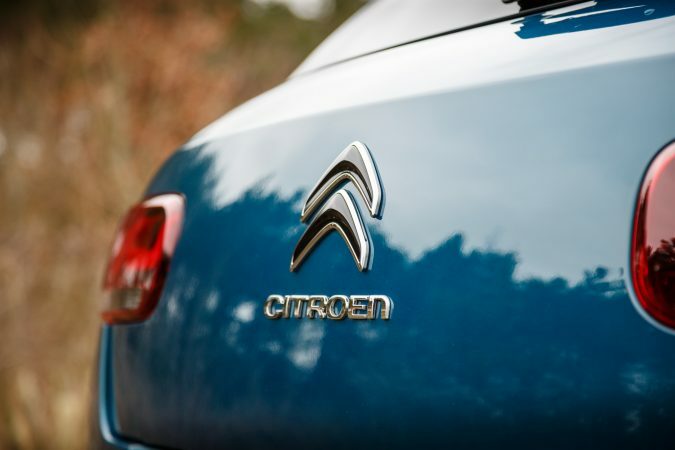 It’s a far cry from sports-centric crossovers of this decade, and I rather enjoyed the small niche Citroen have carved out for themselves here. Of course, it’s not the most engaging drive. However, it’s a perfect fit for urban areas, which is what it was designed for. It looks stylish, it’s very comfortable, and it makes a great city runabout. 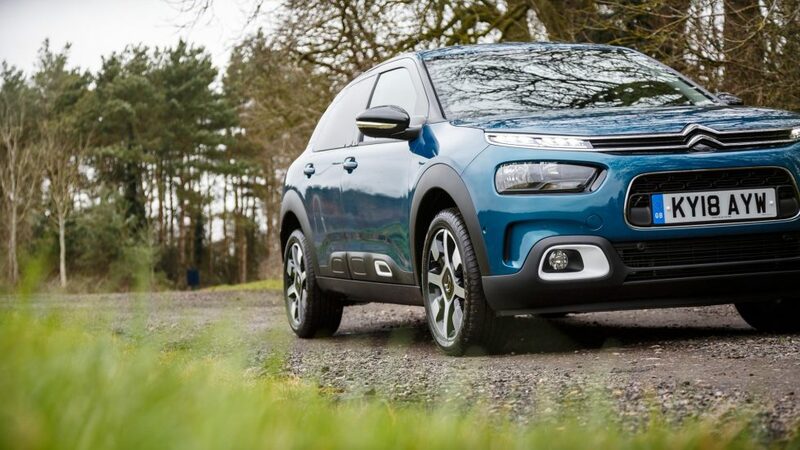 But is the new Citroen C4 Cactus worth it? The car has such a unique design which is an attractive feature in itself. However, it’s also what drives potential customers away. If you’re interested in one, you’ll want the PureTech 110 manual option, which is reasonably priced. It’ll provide extra refinement to reinforce the whole comfort theme, and it’ll be a bit more bubbly. 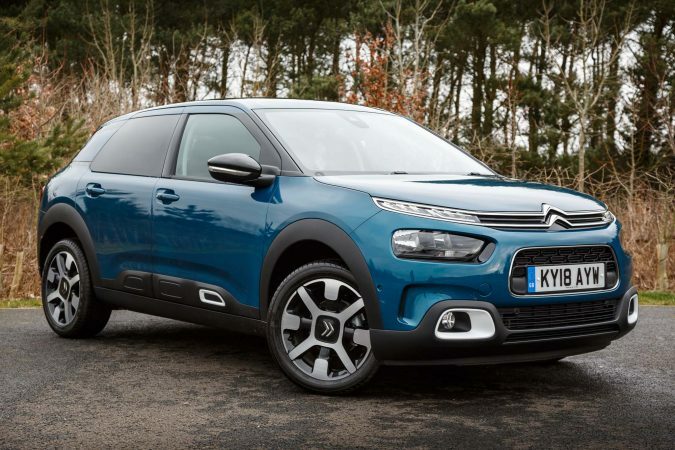 Overall, the new Citroen C4 Cactus is an improvement on the previous model. It’s catered to British roads, and I think it’s underrated. Great at what it does, but the exterior may prove controversial.